Even nowadays a woman at the helm is often the target of jokes, and in the nineteenth century, the beautiful half of humanity was certainly not taken into account. Waltz in the living room, sit over embroidery hoop and strum on the harpsichord – that was all that befitted a married lady and a mother of a respectable family. Of course, not everyone was happy with bourgeois codes of behaviour. Energetic and inquisitive Barbe-Nicole Ponsardin, who was married to the melancholic off-spring of a wealthy industrialist from Reims, had no use of her abilities in small domestic concerns and was increasingly thinking about arranging family business Clicquot and Son, which was to be inherited by her husband. The main income was brought by a textile factory; a distillery was kept just for fun. When the life of Francois Clicquot was claimed by fever, the family head was happy to get rid of unprofitable business and willingly conceded the winery to his daughter-in-law, although no one believed in success of that undertaking. She took the helm at the now-revered champagne house when growing grapes in revolutionary lawlessness seemed to be pure madness. What was surprise of the seasoned merchant, when a young widow scooped highly experienced competitors, as she made good use of her tough character to establish a name that went on to achieve iconic status among champagne buffs! Watching the work of winemakers, Nicole quickly realized what was going on. In the process of secondary fermentation wine bottles were stacked horizontally, keeping the yeast sediment in hanging position. If to secure vessel at an angle of 45 degrees, yeast would accumulate in the neck, from where they can be easily removed together with the cork. A novel technique of riddling proposed by Madame Clicquot, is still used by leading Champagne houses. Assisted by her cellar-man Antoine-Aloys de Muller, Madame Clicquot perfected the art of remuage, or riddling: the bottles were placed in special racks to hold them at an angle. During two to three months of aging in the cool chalk cellars, wine bottles were rotated by a quarter-turn every day, so that the dead yeast would all gather and gradually settle near the cork. Before clearing the lees, they quickly freeze wine, and then swiftly uncork holding bottles upside down. The pressure of carbon dioxide emits cork, carrying the sediment out. 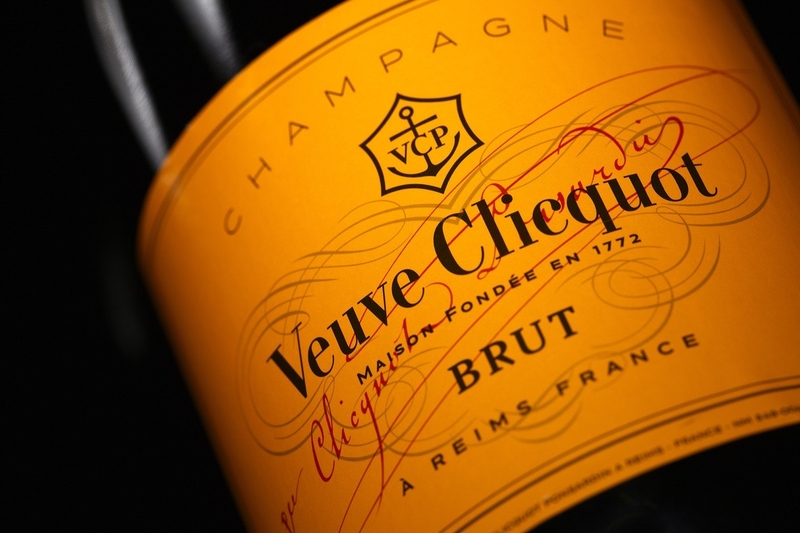 A clever trick of disgorging, introduced by Madame Clicquot, also entered the world practice. At the same time with improving the colour of wine, the widow was continually working on improvement of taste of the sparkling drink. Purchasing wine stock of classic varieties Pinot Noir, Chardonnay and Pinot Meunier from the first-class terroirs of Grands Crus and Premiers Crus, Nicole did not spare the family jewels to pay off creditors. "One quality only, the finest" - she used to tell her winemakers. Now the motto of La Grande Dame de la Champagne, as they refer to Madame Clicquot in the company, flaunt on all brand labels. The efforts were not in vain: in 1810, the diligent widow patented the world's first vintage champagne. The following year, marked by the appearance of a comet, a collection of brand was enhanced by vintage assemblage Vinde Bouzy, 1811, le vin de la comète. Not paying attention to embargo on French bottled wine, Madame Clicquot dodged the measure and sent to Russia the first batch of fragrant "comet wine", numbering over 10 thousand bottles. Unfortunately, the daughter and son-in-law of Madame Clicquot were determined not to multiply, but squander the family capital. Once again, an elderly widow defied tradition by passing the reins to long-time partner - Alsatian German Eduard Werler, owing to him the Clicquot House obtained the iconic amber label with the anchor. In 1986, the historic label was acquired by international group Louis Vuitton - the flagship of the French luxury market. 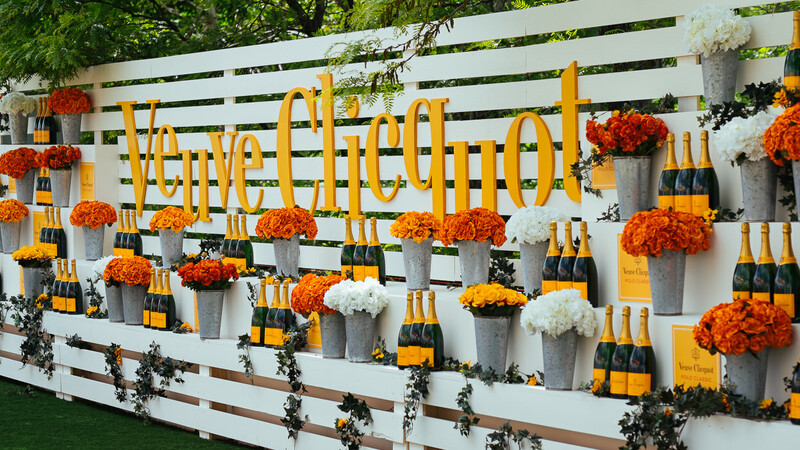 Clicquot House cherishes the memory of an outstanding woman, endowed with exceptional talent to subdue circumstances. 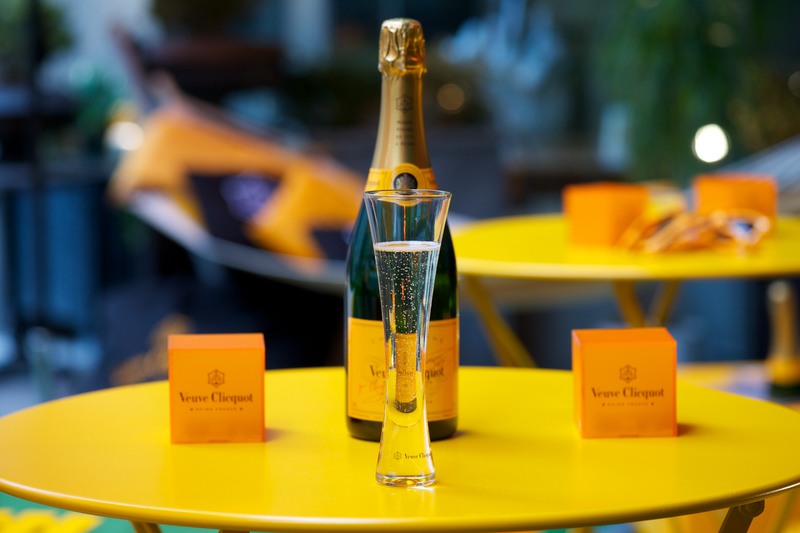 In the early twentieth century they released a tribute to Madame Clicquot - Champagne Veuve Clicqout La Grande Dame, this exclusive cuveé surprised Europe by sweet silky taste with soft vanilla shades. In 1972 the charity foundation of the company launched an annual award for successful women who have shown "the character of Madame Clicquot" - a trailblazer with iron will and indomitable energy.